Doctor of Philosophy: Marine Science, Virginia Institute of Marine Science, College of William & Mary, 2018. 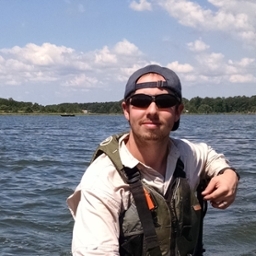 I am studying the interactions between humans and the environment at multiple scales throughout the Chesapeake Bay. Current projects include spatial distribution of diamondback terrapins, modeling shoreline structure growth over time, and effects of sea level rise on marsh fragmentation and distribution. My interests include spatial ecology, coastal resource conservation and management, and the impacts of climate change.